When you embark on a new email marketing campaign, you hope that every one of your carefully crafted messages reaches its intended recipient, but that is rarely the case. Undelivered email is a fact of life in the email marketing world, but it is important to manage those failures and do what you can to reduce them. A high failure rate affects not only your potential revenue stream but your reputation as an email sender as well. A high bounce rate could even cause you to be labeled a spammer – and that could have a devastating impact on your business. When an email is undeliverable it is said to have bounced, but it is important to understand the difference between a hard bounce and a soft one. A soft bounce means that the email made it to the recipient’s mail server before being returned as undeliverable. That means the email address is a valid one, but for some reason the email could not be delivered. 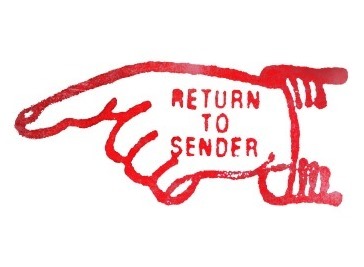 You may receive a soft bounce if the recipient’s mailbox is full, the message is too large, or if the server is down. A single soft bounce is often no big deal – it might simply be that the server was temporarily down or the receiver’s inbox was temporarily over its size limit. But if the same email address results in a soft bounce over multiple campaigns it should be removed from your list. A hard bounce means that the email is permanently undeliverable. This could be caused by an invalid email address, a bad or shut down domain or a typo in the address. Either way, those hard bounces should be removed from your mailing list at once, since they can have a negative impact on the delivery rate of future messages. With SendBlaster you can process both soft and hard bounces and (optionally) automatically bounced addresses in the selected distribution list. All these operations can be done in the Manage Bounce-backs panel. Dealing with hard and soft bounces should be an integral part of your email marketing strategy. Allowing a large number of bounces to go unchecked could reduce your deliverability and negatively impact not only current campaigns but future ones as well. Whether you are new to email marketing or a seasoned professional, you can use these tips to reduce your bounceback rate and make sure your messages reach their intended recipients. Review and clean up your lists on a regular basis. Your email marketing list is not a static thing – it is ever changing and evolving. Cleaning up your list on a monthly basis and removing bad addresses is one of the best things you can do to improve your deliverability rate and reduce bouncebacks. Check blacklist and spam databases regularly to make sure your account has not been flagged. Use a double opt-in subscription method. This will help to weed out invalid or fake addresses. Keep track of bounceback rates by domain and look for patterns that could indicate a problem with a particular domain or set of domains. Use any alternate contact information to reconnect with bounced subscribers. Drop a postcard in the mail and invite those customers to update their email addresses. Test your email addresses regularly to make sure they are still valid. These tips can help keep your bounceback rate low and your deliverability rate high. Keeping an eye on your bounceback rate may not be fun or glamorous – but it is important to your long-term success.